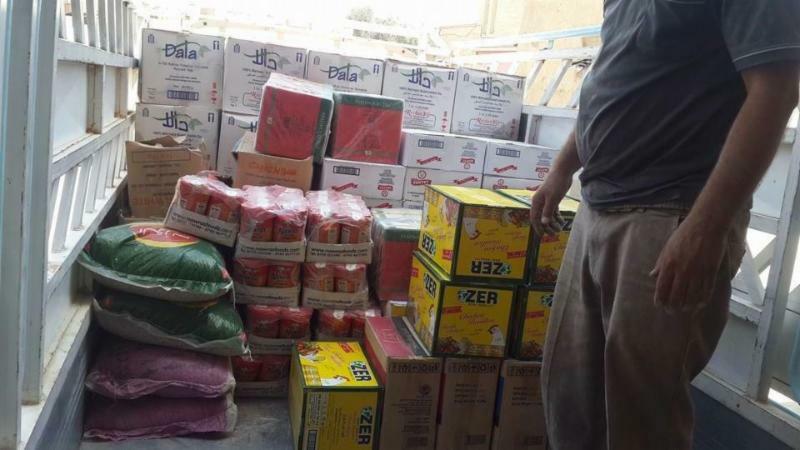 We are so thankful for the generous response to my two previous emails asking for help for the Christians in Iraq. To date, almost $20,000 has been raised, and $12,000 has been used primarily to help feed refugees. Our teams are also sharing the Gospel as they distribute food. With a goal of $35,000, we still need help. I’d like to highlight the courage of men and women who are helping the refugees. 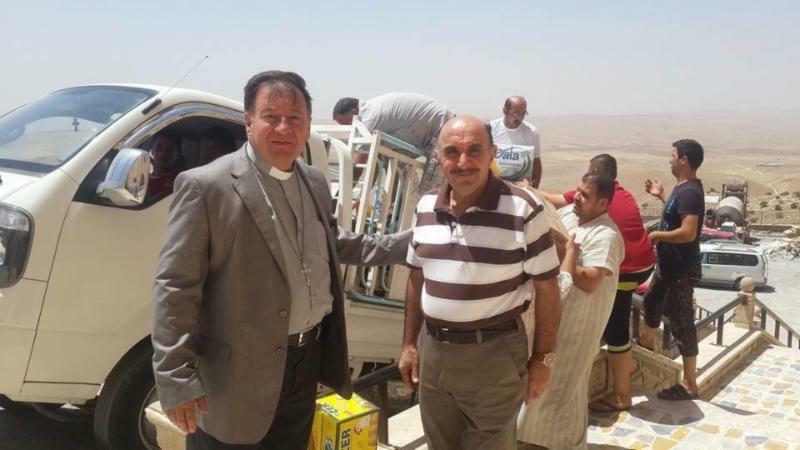 Pictured here is evangelical Presbyterian Pastor Hatham who is only 25 miles from the ISIS battle line in this picture. Members of his church are assembling hundreds of food packets to be distributed. His life is forfeit, as are the lives of many other Christians if ISIS breaks the line. Please pray! With thousands fleeing from the ISIS threat in Mosul, Dahok and other cities in the past weeks, the challenge now is to find effective ways to help our Brothers and Sisters who are displaced. We are working with our Iraq connections doing just this. They are so encouraged that many of you are praying and are so very concerned. We’ve learned that Muslims are fighting each other in Mosul because of the brutality and destruction of ancient churches and tombs. With the destruction of the tomb of Jonah, it has caused divisions in their midst. 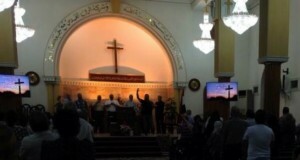 Mosul is the ancient city of Nineva, where even the Muslims recognize Jonah as a prophet of God. Word spread that ISIS destroyed this sacred place last month, as huge offense to both Christians and Muslims, Muslims are saying to our Iraqi contact Francis and others, “If this is Islam, we reject it!” One of the primary concern of many Christians, there is that Muslims would see the love of Christ through them at this time. Last night Dee and I sat with a young couple on the phone in Iraq praying with them as three nearby Christian towns fell to ISIS. Together we asked the Lord for courage and wisdom to know when they should stay or flee their home. Just think how many others in Iraq are crying out to the Lord for wisdom and strength in these days. Last night Dee and I sat with a young couple on the phone in Iraq praying with them as three nearby Christian towns fell to ISIS. Together we asked the Lord for courage and wisdom to know when they should stay or flee their home. Just think how many others in Iraq are crying out to the Lord for wisdom and strength in these days. We are told that a family of eight Christians, mother and father and six children fleeing the conflict were captured, and each one shot in the face because they would not convert to Islam. Churches in Erbil are filled with Christians and Muslims both seeking refuge and attending services side by side…could it be that the Lord is using this to draw Shia Muslims to Himself? We invite you to respond to this crisis and reach out with Indigenous Ministries to our Brothers and Sisters in Iraq. Can you help us help them?